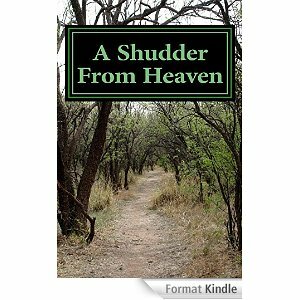 First Chapter Of….A Shudder From Heaven. It would appear from your many generous contributions and what I have gathered from fellow followers of God’s teachings, that you are a good and faithful man. I was, at one time in my life, the same. The enclosed obnoxious photographs are of my late nephew, the novice Jesuit priest Alvaro Ramos. They were used by your daughter to obtain my signature on a legal document. I do not believe you sent her to me with that in mind. I must trust in God’s forgiveness for my sins, as I put vanity, my family’s unblemished name and self-interest before the sworn duties of my office. I have betrayed God and my Church in a vulgar way. I am ashamed of myself and beyond redemption. Your daughter is well vested in the ways of Satan. You must pray for her and yourself as I no longer can. Aspirations of happiness were mostly all Señora Teresa Elama Ramos Reina now allowed herself since her husband had passed suddenly away, four years ago. He had left her financially sound but emotionally void. Together they had parented three children; her son Alvaro and daughters Francesca and Imelda. All three they had been immensely proud of. Alone now, she occasionally permitted herself to dream of great things awaiting her eldest only brother, and then her son within the Catholic Church but for now Alvaro’s calling as a Jesuit priest, and the guidance he was receiving from Domenico were enough to offer the sense of hope that was sufficient for all her needs. There had been legions of Ramoses in the church before her brother, the cardinal, and then her son had entered. The family’s religious lineage was traceable for five hundred and six years, as was proclaimed proudly on the heritage, gold-leafed board loftily displayed in the entrance hall of her modest, two-storey apartment on the periphery of the cosmopolitan city of Madrid, Spain. Carlos Juan Luis Ramos, Bishop of Garland, 1498-1503, being the first and most distinguished name that was mounted, taking premier position above the others. He suffered martyrdom at the hands of the French army in the battle of that small town near the famed city of Toledo, but despite the lack of his leadership the Spanish had won. As gratitude for his great heroism, a figurine of the Madonna carrying a superbly crafted, diamond Christ Child was handed to one of his surviving relatives. This sacred icon was ceremoniously handed down from generation to generation, now resting safely in the possession of her cardinal brother in Rome. One day she hoped to see it passed on to her own son who, along with two nephews, now graced that beautiful scrolled list. An ecclesiastical history to be proud of, she would say to herself every day as she passed it by, making the sign of the cross as she did so. Once a month, careful not to rub out the hallmarks, she polished those plaques praying for forgiveness for her covetous thoughts about the first Spanish Bishop of Rome coming from one of her own family. Pope Domenico or Pope Alvaro. Either would do, she surreptitiously whispered to herself. Teresa was a deeply religious woman who, although she did not pay meticulous attention to her outward appearance, did to the doctrinal side of her self-regard. At fifty-three years of age she had a peaceful yet somewhat lonely life to look forward to. However, she had no idea what lay in her path. This was how things were in Los Rozas De Madrid, home of Teresa before Natalia Morentti met Teresa’s brother, sending the mother of Alvaro’s acceptance and tolerance of all things temporal into oblivion. That deciding moment came on answering that evening’s annoying ring of her house telephone. She listened in silence to Domenico’s revolting tale of deceit, homosexuality and complicity, hearing but never initially understanding anything that was said. When eventually he stopped speaking, and the receiver was quietly replaced, she simply stood there, clasping her bowed head and bursting into a torrent of tears that would not stop. Realisation hit hard and cruelly. There were too many questions to be addressed by phone. Too many worries to be instantly resolved. Where to start, was her first reaction. The second was to leave a telephone message for her son. He returned her call a long, agonising forty minutes later, his voice clouded by tears. Was it his shame of his own sexuality, or was it the shame of being found out? She could not be sure. ‘How? Why? You know it’s a sin, don’t you? Where did it happen? Was it the only time?’ In no chronological order she fired questions at his stupefying utterances, logic having left the conversation, as had all rational answers, it seemed. No excuses nor reasons, just confession of guilt which she could forgive if the circumstances were explained, but her plaintive representations fetched no understandable, or acceptable, response. Feeling mentally drained, as well as both emotionally and physically, she sought the consoling contentment of her bed to wish away the anxiety of the unknown, hoping it would all magically go away. It was not with her usual pride she lay that night, but with confusion and astonishment as her bed partners. Both irritated and angered her so much so that she sought solace and comfort in the chair beside the bed. There she rested and stared silently at the moonlit walls of her bedroom, adorned with family photographs. What was it her brother had said? Morenttis? Purporting to be a respectable Italian family, but in essence thieves of Sicilian origin. They sent a girl to do their dirty work! She found no sense in his words, nor any in that room. “I must go and find out for myself,” she concluded, booking the first available flight next morning from Madrid to Rome. She found the Morentti Corporation on her computer. Their head office was in Naples, a fair distance from Rome, but the company portfolio contained nothing of relevance regarding the Church, nor the name of any female associate. In fact there was no Morentti listed on the board. More to read on either of the links below. This entry was posted in Author/Writer, Raconteur and tagged BBC, Church, Danny Kemp, http://danielkemp.co.uk/, http://www-thedesolategarden-com.co.uk/, Radio Kent, Radio London, radio today, Rome, sky, suicides, Writing. Bookmark the permalink. 6 Responses to First Chapter Of….A Shudder From Heaven. Great Teaser From My Good Friend Danny Kemp!